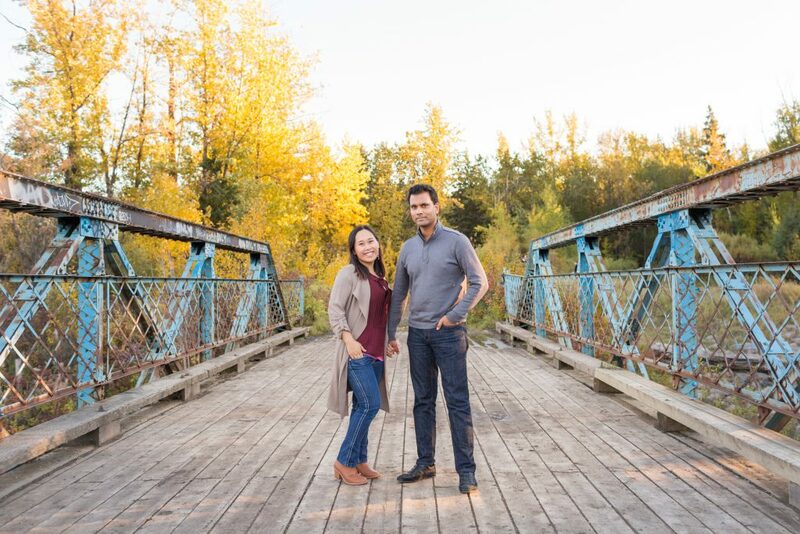 It was a gorgeous autumn afternoon when we met Bernice and Tariq for their McTaggart Sanctuary engagement photos. This lovely area of the Edmonton river valley and ravine is a hidden gem. 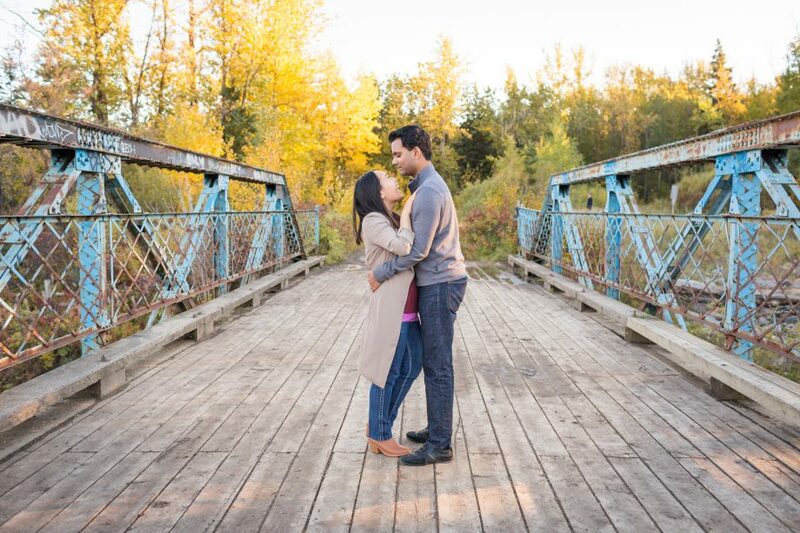 Full of gorgeous tall trees and an iconic blue metal bridge. On this evening we were lucky enough to catch the stunning golden hour. 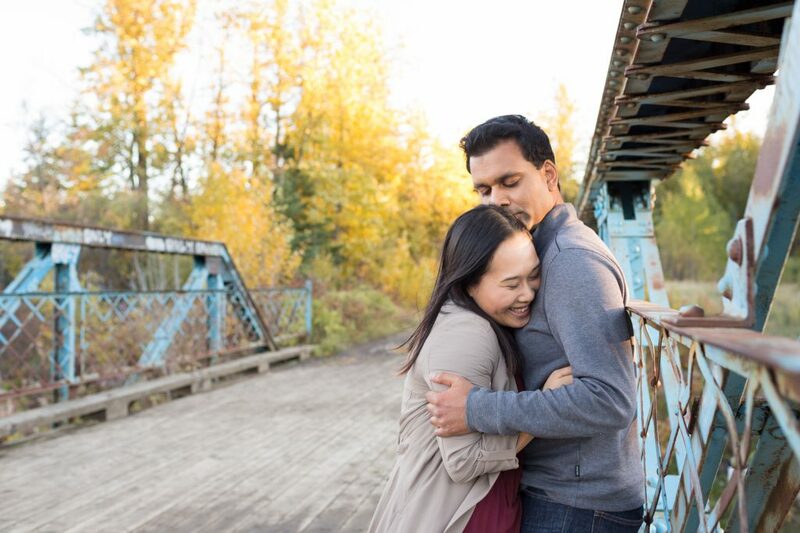 The soft romantic light was perfect for Bernice and Tariq’s sweet and silly engagement photos. These two were so cute and posed together so easily, with very little direction from us. 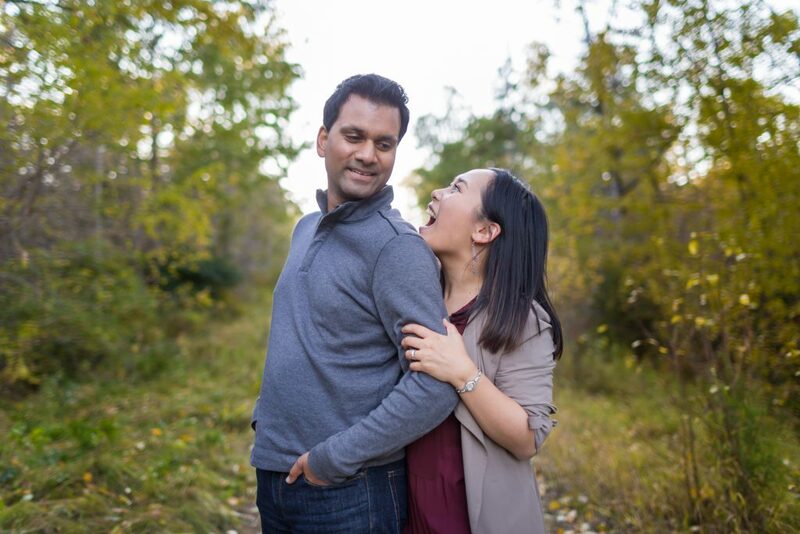 One of the most nerve-wracking things about engagement sessions, and we hear it all the time, is the couple feeling like they are going to look awkward in front of the camera. 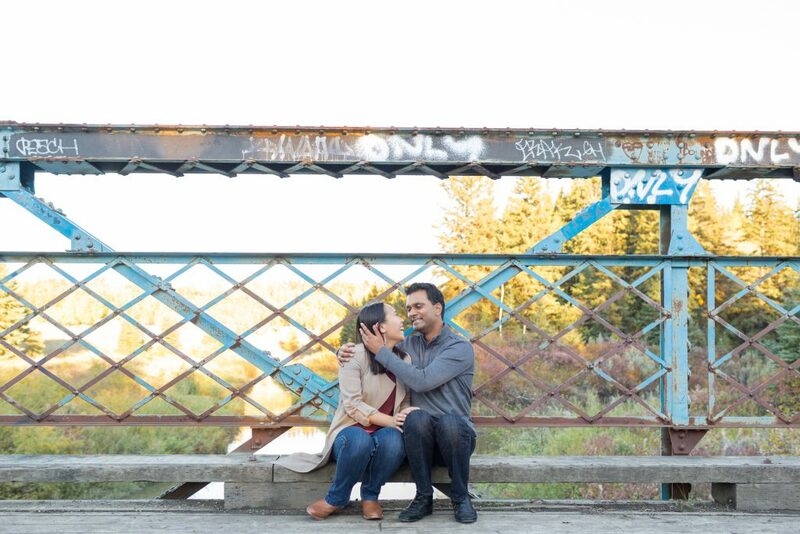 Even Bernice and Tariq admitted that they were a bit anxious about the session before it began. 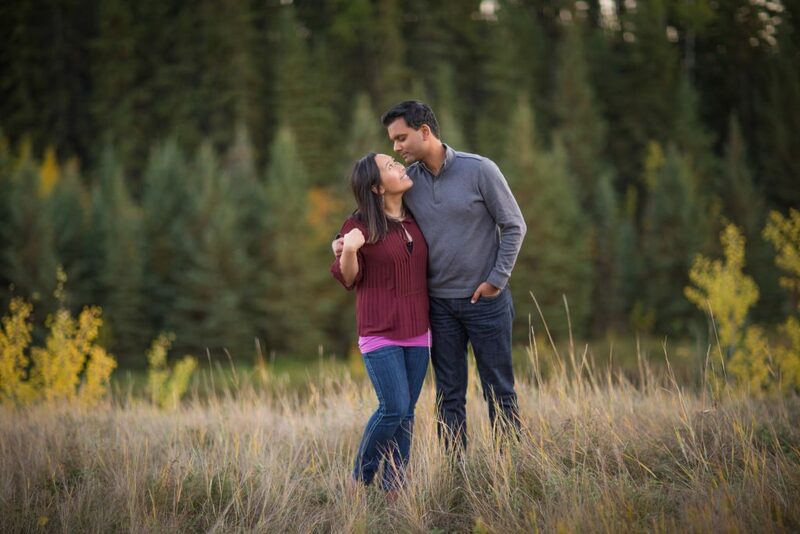 Once we were out strolling through the tall grass, discussing wedding plans, dinner plans and weekend plans it was easy to watch as this couple relaxed. 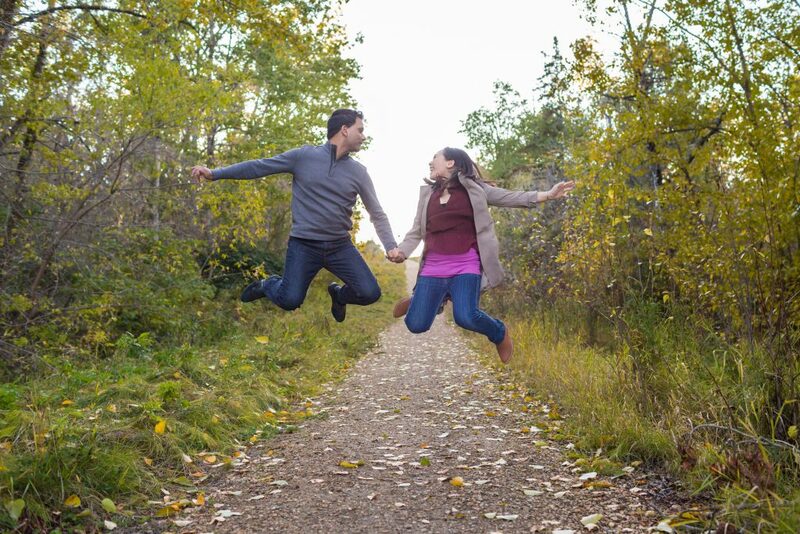 Bernice and Tariq were relaxed and their poses and movements became natural. 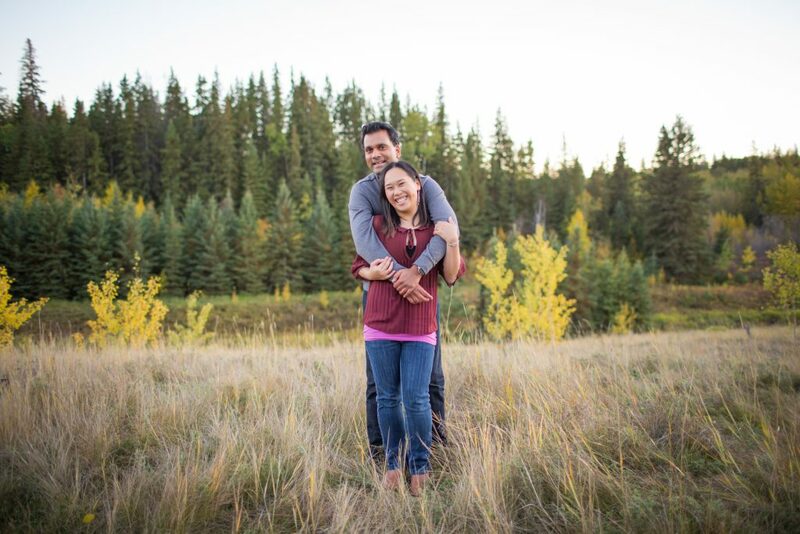 This is when we are able to capture real smiles, relaxed interaction and sweet moments. 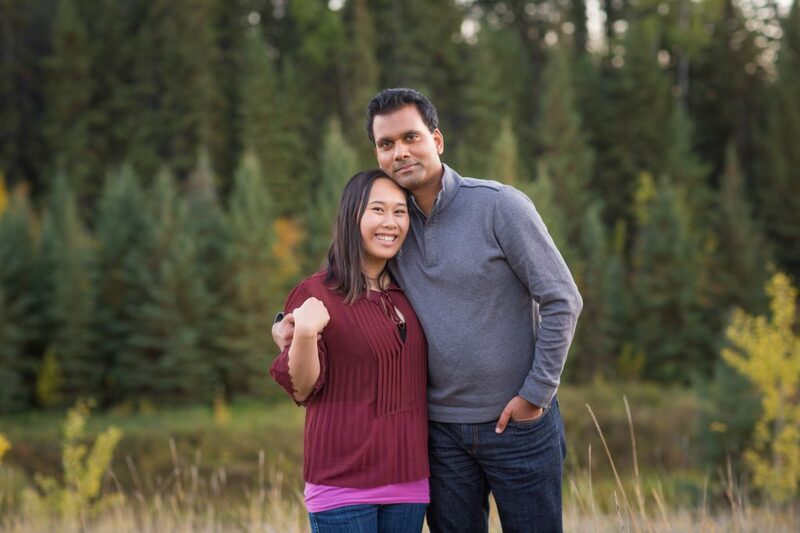 We always make sure to provide some direction to our couples, but what we are really looking for is a relaxed and authentic interaction. We guarantee that all of the smiles you see in all of our photos are real. 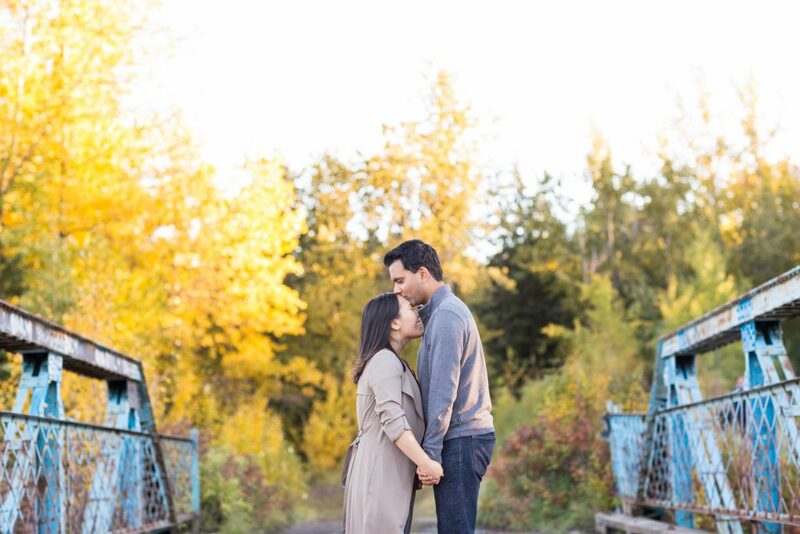 Bernice and Tariq were an absolutely pleasure to hang out with and we are so excited for their upcoming wedding next summer!